The Deputy Commissioner is overall in-charge of the general administration in the district. He is under the administrative control of Commissioner, Faridabad Division, Faridabad. 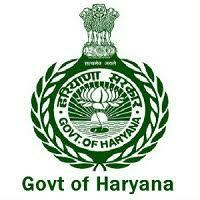 In fact, the state government authorities descends through the Divisional Commissioner to the Deputy Commissioner. The Deputy Commissioner has to perform triple functions, as he is at once the Deputy Commissioner, the District Magistrate and the Collector. As Deputy Commissioner, he is the executive head of the district with multifarious responsibilities. There is hardly any aspect of district administration with which he is not concerned in one way or the other. He has a special role to play in the Panchayati Raj. In addition to keeping an eye on the working of Panchayti Raj institutions, he guides the Panchayats , Panchayat Samitis, municipalities, market committies and improvement trusts and helps them to overcome difficulties and problems. As District Magistrate, he is responsible for the maintenance of law and order in the district. He is the principal executive magistrate for the enforcement of the security measures and exercises judicial powers under certain sections of the preventive chapters of the code of criminal procedure. Two Sub-Divisional Officers (civil) and Tehsildars and Naib-Tehsildars assist him in the work. The Superintendent of police who heads the police force in the district assists the District Magistrate to maintain law and order. As Collector, he is the chief officer of the revenue administration in the district and is responsible for collection of revenue and all dues recoverable as arrears of land revenue. He is the highest revenue judicial authority in the district. The Sub-Divisional Officers , Tehsildars, Naib-Tehsildars, Kanungos and Patwaris assist him in the revenue work.